An enjoyable meal and social was held at The Grand Harbour Chinese Restaurant on The Viaduct in Auckland. Fuelled by good food and wine the members elected the existing committee and re-appointed the auditor. The Chairman’s report is on the website. A really practical and modern guide to natural antioxidant choice, was presented by Harish Metel of Kemin. This area is of vital importance to NZ food manufacturers particularly exporters as many overseas countries are banning the use of the synthetic antioxidants such as BHA and TBHQ. Note that the inappropriate use of an antioxidant such as ethoxyquin (only for animal products) has just been detected in krill oil in Australia. Dr. Matt Miller gave a lively and updated view of the potential for marine lipids particularly in the health sector with extracts such as green lipped mussel, hoki oil and shark liver oil having large economic and nutritional market potential. Associate Professor Marie Wong summarized the work to date on the unrefined virgin rapeseed oil being manufactured in Canterbury. This type of oil is very popular in Canada, UK and Germany. The latter country running awards for quality and sensory properties. Exploring the benefits of the Mediterranean diet – polyphenols. Many different food types – from the school dinner favourite broccoli to traditional Chinese goji and green tea have been termed ‘superfoods’ in recent years, due to their reported beneficial effects on longevity and disease prevention. The health gains of these foods are largely attributed to their antioxidant content, but evidence behind the benefits of consuming these foods is limited, and relatively little is known about the individual nutrients conferring disease protection. A recent paper broke down the analysis of the protective effect by polyphenol class, demonstrating that stilbenoids and lignans are most strongly associated with this protective effect on mortality. Stilbenoids are found in grape skins and concentrated in red wine, whereas flax seed and sesame seed contain high levels of lignans. The Mediterranean diet has been linked to a number of health benefits, as outlined in our previous newsletters, there have been concerns that too much focus on individual foods may encourage unhealthy eating overall. Beneficial dietary effects are reported at an intake of virgin olive oil around 10g/day. Note that the average NZ consumption of quality virgin oil is around 1-2 g/day. Entries are now open for the 2014 Auckland Easter Show olive oil competition with samples due by September 5th. 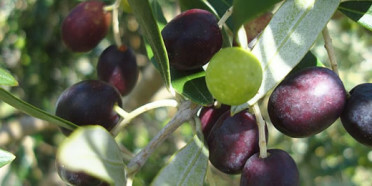 New Zealand’s olive oils are burgeoning in popularity and this was reflected in the record number of entries for last year’s competition. Judging and allocation of awards will be on September 18th and winning oils will be featured at next year’s Easter Show. A successful feature of the 2013 competition was the introduction of a new class for ‘culinary oils other than olive oil’ and additional entries in this class are expected this year. The Listener has just published an article labelled “The fats of Life” This resurrects the controversy over whether indeed saturated fats are the villains portrayed by Ancel Keys many years ago. A balanced view is given by Professor Jim Mann and other esteemed scientists who see no need to change dietary advice about reducing saturated fat intake (if it’s high) and replacing with unsaturated oils. This advice does not extend to coconut oil and a review of the claims for this oil will be published soon by the NZ Heart Foundation. There is an interesting article by UK based Ray Cook in this month’s magazine. It describes the analysis of heat induced trans isomers of polyunsaturated fatty acids in a range of supermarket oils. Most showed up with encouragingly low levels. Virgin rapeseed oil had a value of zero percent isomers as it has no high heat treatment during processing. First Pacific and Wilmar have agreed to buy Goodman Fielder for the new price of 67.5¢ a share plus a 1¢ dividend, 2.5¢ less than the previous offer. The Goodman Fielder board has backed the deal as being “fair and reasonable” and Wilmar has currently substantial assets in the sugar sector. In New Zealand they acquired Chelsea Sugar. They have business in palm oil, frying fats, speciality confectionery fats and are consolidating their position in Australasia. The changes keep ringing with the global oils and fats business. Takeovers reduce the number of players and now it seems that no-one does any significant research and no-one from industry publishes a great deal.